-Glove box is used to isolate contamination-sensitive materials in a controlled environment or to contain biohazards. - Glove box is available in application-sensitive materials, including chemical-resistant and static–dissipative plastic. 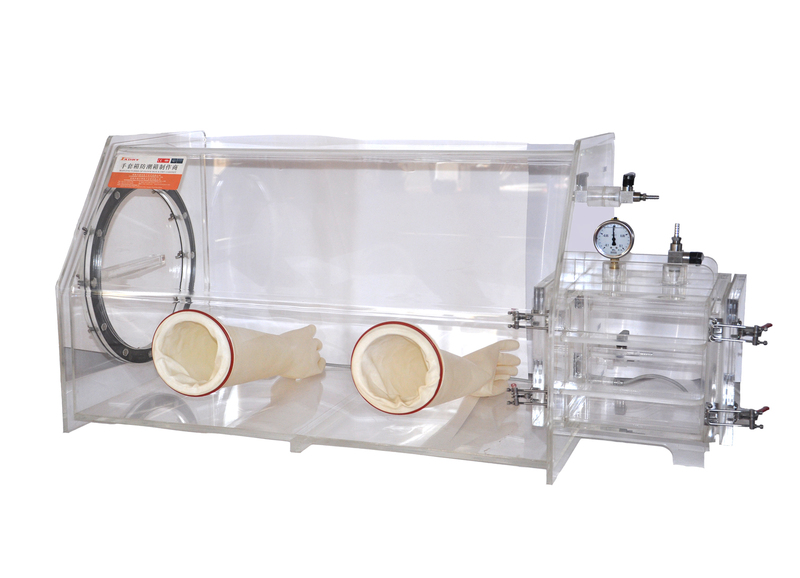 * Bench-top transparent glove box offers larger inert gas environmental workspace with vacuum air locker and sidedoor. * The Glove box is made of transparent polycarbonate for clear viewing from any angle. * Polycarbonate construction affords resistance to awide range of chemicals,high-impact strength and scratch-resistance and the smooth,hemispherical interior cleans easily.